To evaluate a foam product for potential use in a comfort application, possibly the most useful testing value to take into consideration is its compression strength. This measurement rates the firmness and feel of foam by evaluating its ability to support weight and pressure. These values help categorize materials by placing them along a numerically categorized spectrum, making purchase decisions easier, even when physically feeling the foam yourself is not an option. The evaluation of compression strength is called Indentation Load Deflection (ILD), also called Indentation Force Deflection (IFD), but both refer to the same test. This evaluation is conducted by precision machinery and instruments, standardizing the evaluation so all materials are tested in the same way and are able to be compared to one another. With the number of very similar materials and products that exist in the foam industry, this standardization is very important, because a single difference from one material to the next can be what makes a foam type perfect for an application or completely wrong. There are many varieties of foam strength testing, but the primary one is the 25 percent compression test. This is the test being referred to anytime foam is stated to have an ILD value. The most integral aspect of this test is ensuring that the foam sample sizes are always identical in dimensions: 4 inches thick, 15 inches wide and 15 inches long. 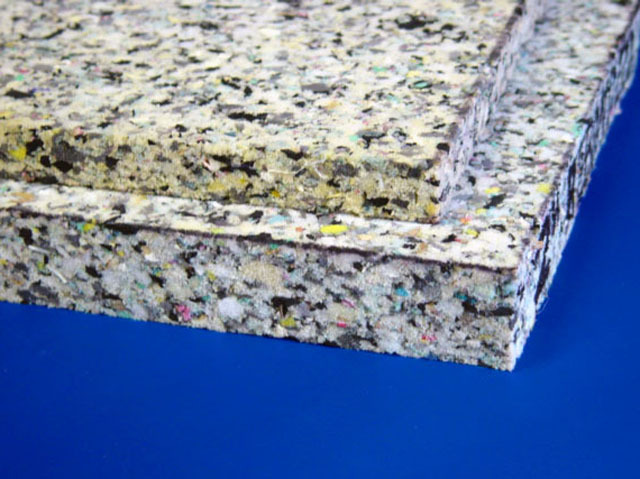 Maintaining sample size consistency is particularly vital when testing foam because thickness and size of a material affects the ability to bear weight in a different way for every foam. Even samples cut from the same bulk form can record different scores if the sample sizes tested are not identical. Thinner samples will yield to weight more easily while thicker sections of the same foam will require more weight to reach appropriate compression levels. The test is executed by a circular metal indenter applying downward force into the foam sample as it rests on a flat surface. The indenter pushes into the foam until it is compressed 1 inch, 25 percent of the sample’s height. The pounds of pressure needed by the machine to compress the foam one inch is the ILD number. If 30 pounds are required to compress the foam 25 percent, its ILD value is also 30. Most ILD values fall somewhere in the range of low teens up to the 60s and 70s. Because the ILD values directly correlate to the weight needed to compress the foam, not only can people use those values to interpret the feel of a foam, they can also understand what these values actually mean. The lowest ILD values are the softest foams, requiring a minimal amount of weight to be compressed. These soft materials are often used as a part of a pressure relief system, be it in seating pads, mattress toppers or chair backs where comfort is the goal. ILDs from the 20s to the 40s generally feature a blend of comfort and support. These types also can be used as pressure relief cushions when a little extra support is also desired in addition to the comfort. 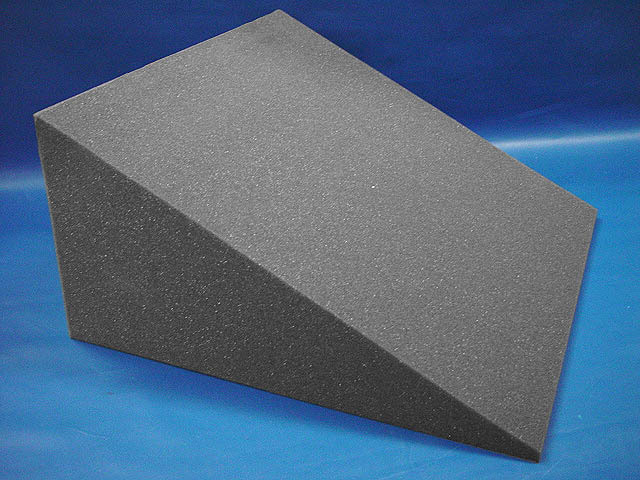 Foams with these ILDs are firmer but still can provide pressure relief, so they are often made into a pillow or angle-boosting body wedges. They are also used in mattresses, shredded foam stuffing and in orthopedic support products. Foam materials with ILD values in the 50s and higher are the most supportive and firmest types. These are primarily used in seating cushions, automobile seating and the firmest mattresses, where support is top priority. Despite what may seem to make sense, ILD does not indicate the quality of a given material. That characteristic is better derived from the density of a material, while ILD is only going to state the feel of a material and whether it is a hard foam or soft. Understanding and using both of these two qualities, will however, make you very well equipped to find the right material for making a better mattress, cushion or seat. There are other compression strength evaluations in addition to the 25 percent compression test that can provide even greater insight into a material. Often included with the 25 percent compression values is a 50 percent compression value, a measure of the force required to compress a sample half of its height. Compression is not linear, so doubling the 25 percent ILD will not necessarily produce an accurate 50 percent ILD. Many varieties of foam have similar 25 percent compression ILDs and completely different 50 percent ILDs. Another test that can be conducted is support factor, also called sag factor or compression modulus. This test is actually a ratio combining the 25 percent compression value with the 65 percent compression value. The 25 is divided into the 65, often generating a number from 1 to 3 that more accurately represents support capability than a single test can. Materials with support factors around 2 or higher are considered to be more supportive products. And because 65 percent compression represents real-world use better than 25, the combination value is very helpful in understanding how you can expect a foam to perform. ILD is only one factor out of many that should be taken into consideration while evaluating a material to see if it will perform the way you need it to. It remains one of the most important however, since firmness, feel and support are the characteristics a user is going to most easily recognize and have an opinion on. Understanding how to interpret and use ILD values can make selecting the right foam product for you much easier.